Why did Live-Work-Play Communities Evolve? When I was growing up in the 60’s and 70’s, suburbia was IT! Quiet neighborhoods and being removed from the chaos of being in the city, was most desirable. Suburbs were synonymous with safety, security, and community. In the past couple of decades, people realized that it would save time, energy, and money to live close to where they worked, shopped, ate, went to church/synagogue, etc. Especially in cities like Atlanta, DC, LA, and Chicago where traffic is horrendous. 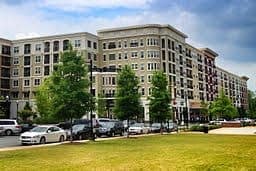 Some examples of these communities include Atlantic Station, Buckhead, Atlanta, Town Brookhaven, Avalon, and the new Gateway at Windsor Parkway and Roswell Roads. These developments are a response to our desire to have everything we need close at hand. If you want more information about Live – Work – Play communities, we can help! In 1943, Abraham Maslow published “A Theory of Human Motivation,” which included what is now known as Maslow’s hierarchy of needs. It puts forth the theory that our basic human needs must be satisfied before we can become the evolved, self-actualized social beings that (we think) we are. Those primary needs include shelter and property (live); employment and financial security (work); health, well-being, basic socializing and “belongingness” (play); food and water (eat); and finally clothing and “security of resources” (shop). ← Just Listed :: Amazing Ashford Park Restoration!